This week's letter was z. 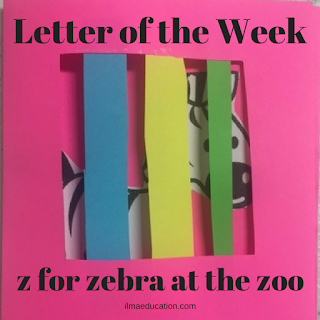 There aren't many things that starts with the letter z so we mainly focused on zebras, zoos, zippers and zigzag. For the craft activity pictured in the title, read instructions below. 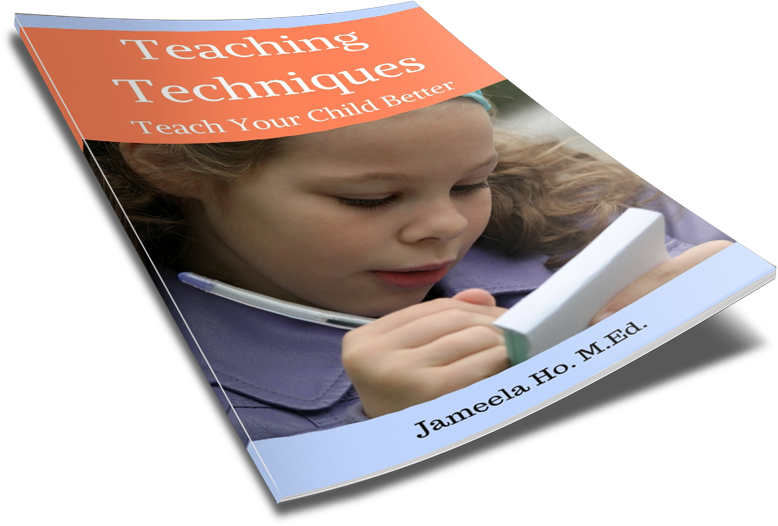 The idea for this craft activity came from a book called 'Dear Zoo', pictured below. So there's an animal behind a cage and children had to guess what type of animal it is. 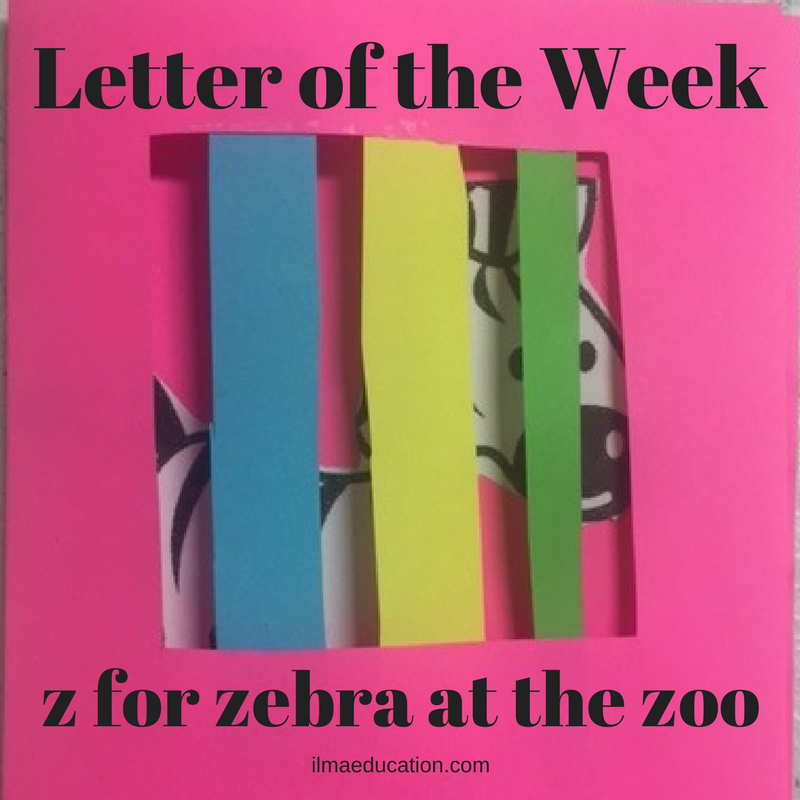 Now because our letter is z, I put a zebra behind my cage and asked children to guess. Then when I opened it, the children can see that it's a zebra. 1. Take a coloured piece of paper and fold it in half so that it opens like a card. 2. Cut slits into one side of the card, that is, the front side. 3. Hand out a printout of a zebra and have the children colour it in any colour they like, or they can leave it white. Cut out and glue onto the inside of the card behind the cage 'bars'. 4. Have the children write the letter z at the front. Cutting slits is tiring work if you have lots of children. Alternatively, instead of cutting slits you can cut a square or rectangle out of the front side then cut strips of paper. Have the children put glue on the inside of the top of the square and at the bottom and then attach the strips, see picture below. Another activity that we did was to colour in zigzags. I downloaded the template here. This is only for those who likes to colour!